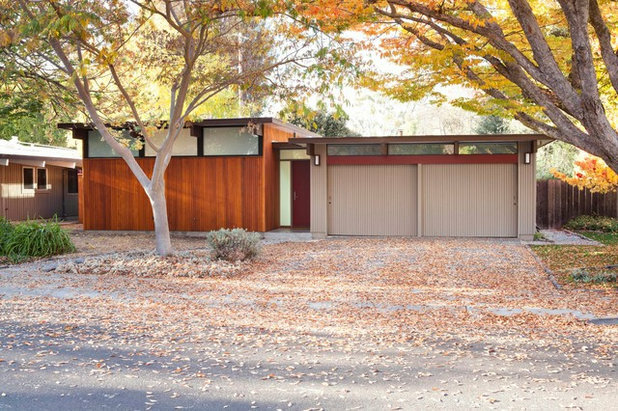 The homes of midcentury modern developer Joseph Eichler are more popular today than they were when they were first built in the 1950s and ’60s. 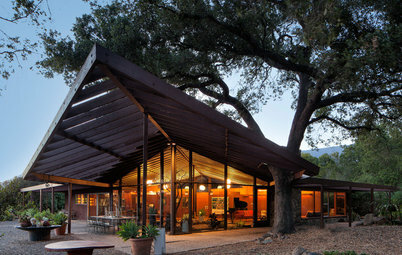 A look at almost any one of the 11,000 homes he developed tells why: plenty of glass, open floor plans, open-sky atriums and deep connections to the outdoors — a winning formula that many homeowners seek today. 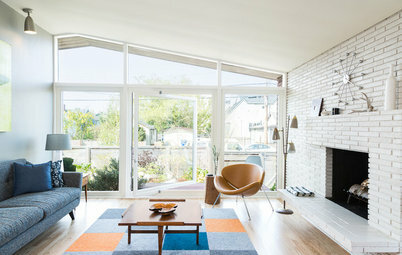 But five decades of wear and tear can take their toll, and many of the Eichlers now snatched off the market need a lot of love. 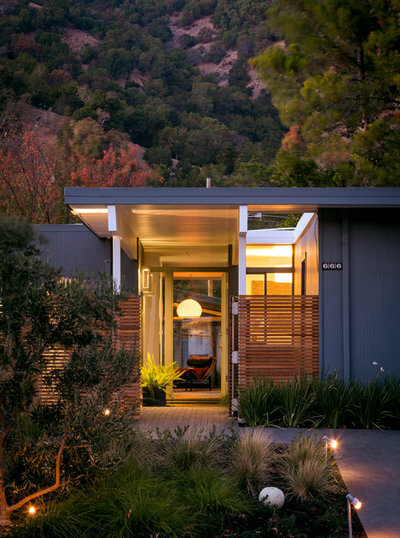 Here are nine classic Eichler homes fit for the current era. 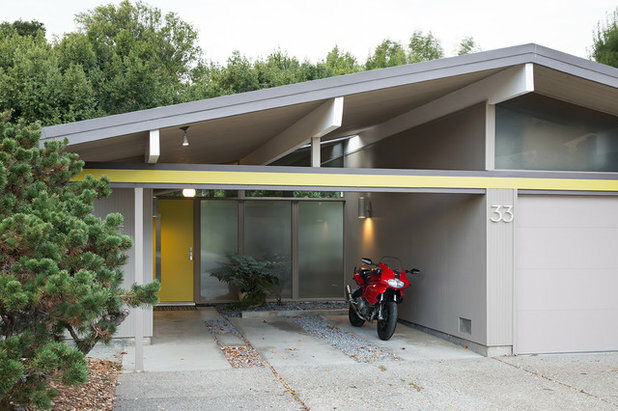 The exterior of this Eichler home remains virtually unchanged save for new paint. The homeowners did add an ipe wood side fence, a frosted glass sidelight to the entry and landscaping steps and concrete planters. 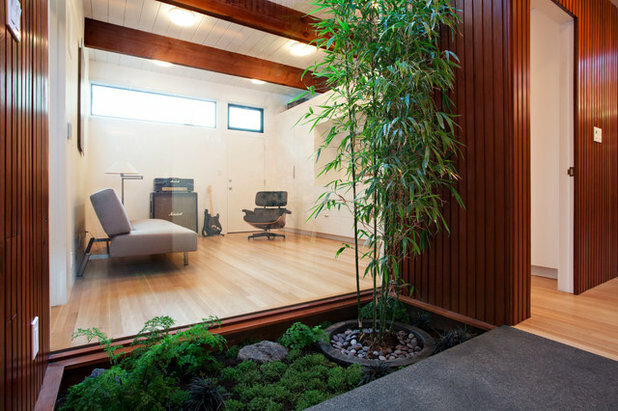 The front door leads to an open-sky atrium — an Eichler hallmark — surrounded by walls of windows. 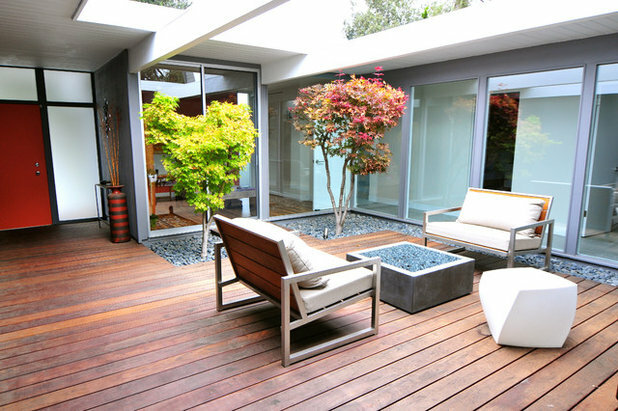 A fire feature sits on an ipe wood deck. The homeowners remodeled the kitchen but kept all the appliances in the same locations as the originals. 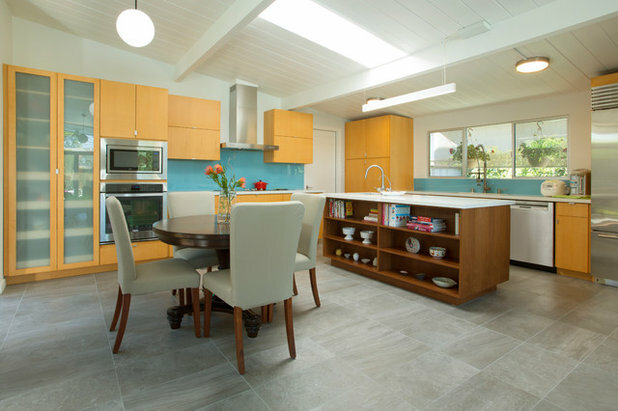 Textured tiles with a nonslip surface form the floor that connects the kitchen to the TV area. 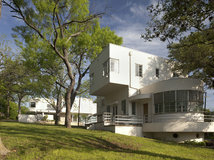 Here, two flat-roofed sides flank a prominent gable roof. 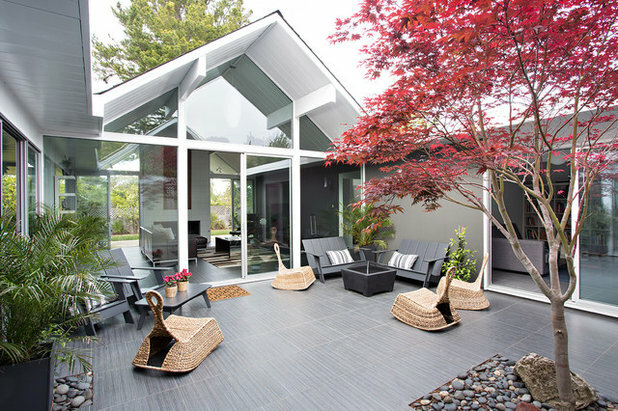 The roof lines and post-and-beam construction are signature Eichler features. 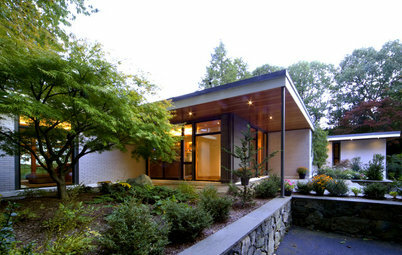 Like the previous example, and as with many Eichlers, the front door opens to an atrium surrounded mostly by glass. The tree promises to provide more shade as it grows. 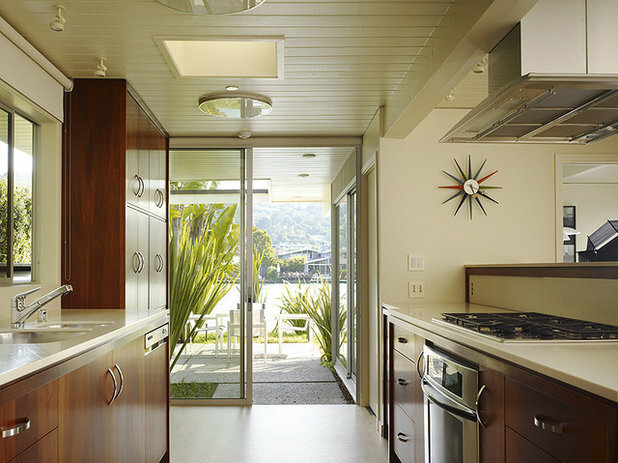 Natural light is an important part of Eichler homes. 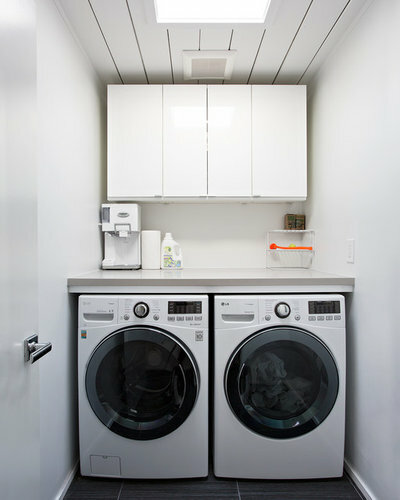 Here, a skylight brightens the laundry room. 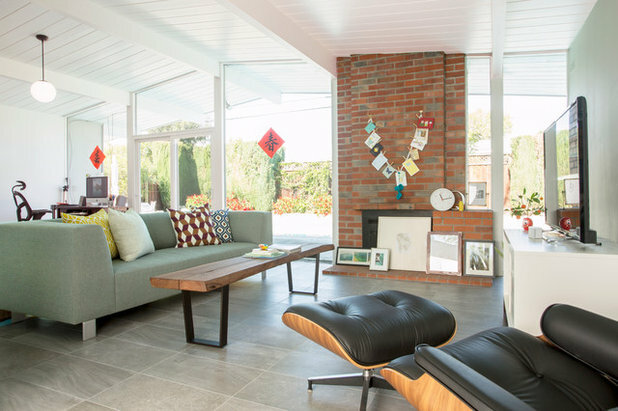 Looking at this Eichler from the backyard, we see that floor-to-ceiling windows — one of the best-loved features among Eichler homeowners — connect the family room to the outdoors. 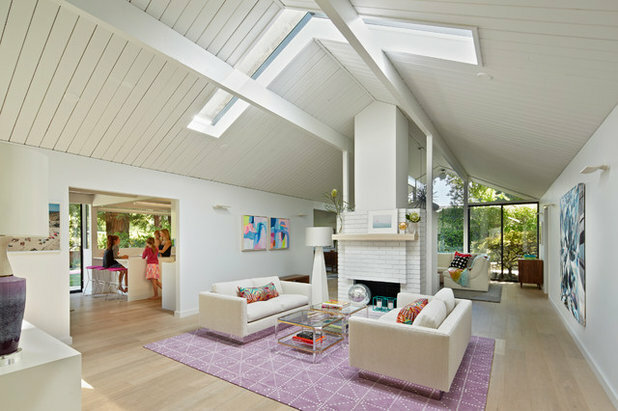 The gabled roof with skylights opens up the main living space. 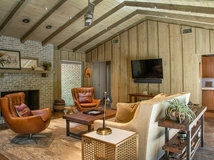 The reconfigured central brick fireplace holds a wide-screen TV on the opposite side. Glossy white cabinets with minimal hardware define the new kitchen. 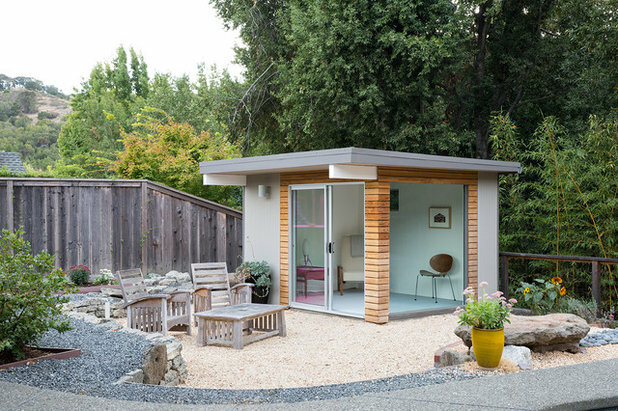 These homeowners added a new master suite (seen on the left) to this classic Eichler. The new suite, which includes a family room, shown above, sits off the entry hall. 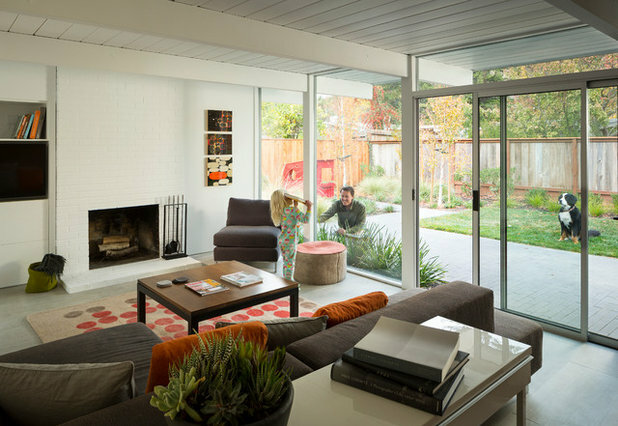 Again, an Eichler signature atrium provides plenty of natural light to the rooms. 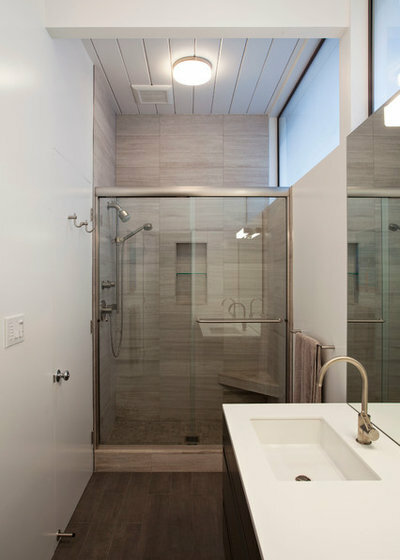 A full bathroom sits off the living area. Frosted glass windows on the front of the home bring filtered light in. 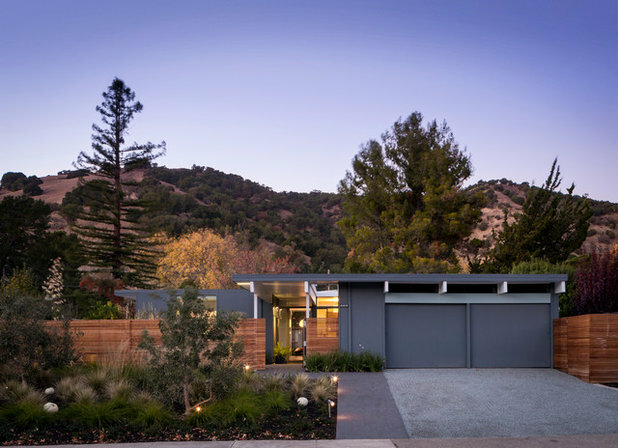 After working on a few Eichler homes, architect Stephen Shoup and his wife, Taya, decided to settle down in one themselves, choosing the Marinwood development in San Rafael, California. The home didn’t have an atrium when they bought it, but Stephen created a courtyard in the front using a fence of horizontal wood planks. Taya, who works at a landscape architecture firm, spearheaded the landscaping, introducing drought-tolerant grasses and olive trees. The slat fence allows light to shine through. 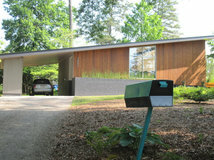 The exterior color is similar to the original palette. 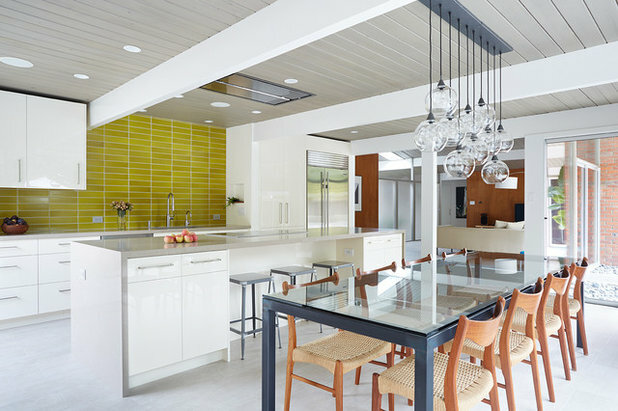 Drywall and MDF form the blocklike kitchen. Previous owners had painted the ceiling beams white, and Stephen decided to leave them alone. Stephen and daughter Hannah exhibit the indoor-outdoor connection for which Eichlers are praised. 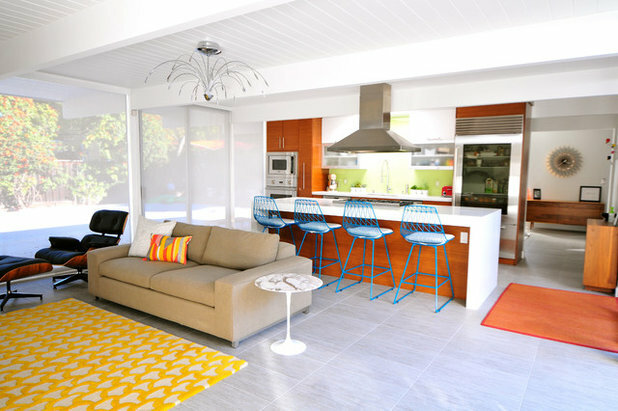 Interestingly, one of the homeowners of the first Eichler featured in this article helped design this one, basing many of the color and material decisions on her own home. 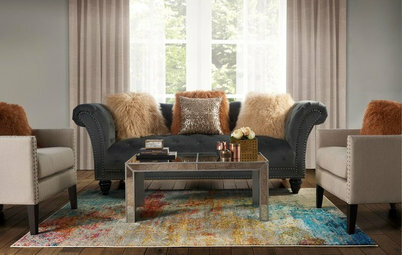 An original fireplace creates a focal point in the living room. This room, the kitchen and the hallways feature the same flooring so the spaces flow together. A back-painted glass backsplash was chosen to match the blue of the swimming pool. 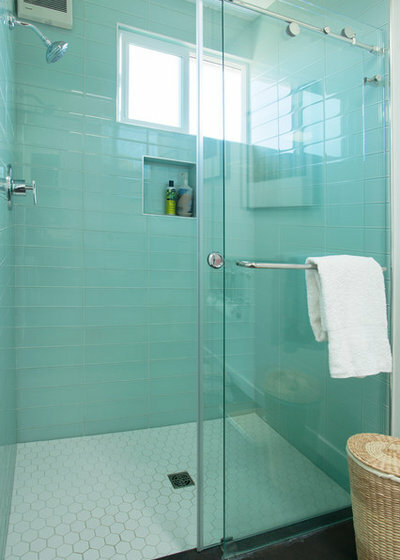 A walk-in shower and teal tile define the master bathroom. 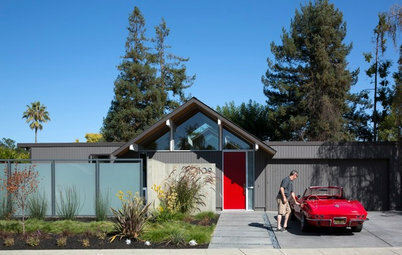 This house, designed by A. Quincy Jones, is one of the very few custom homes built by Eichler. 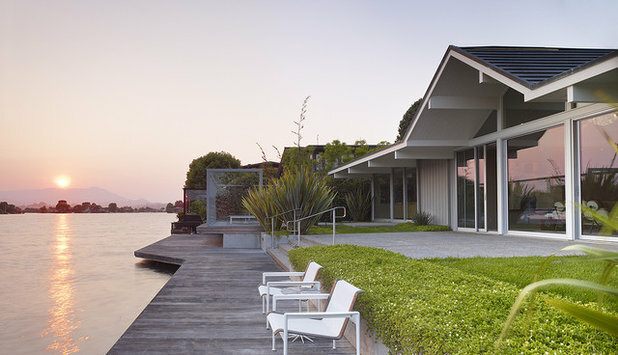 The back of the house opens to a lagoon on San Francisco Bay, with a deck that extends over the water. 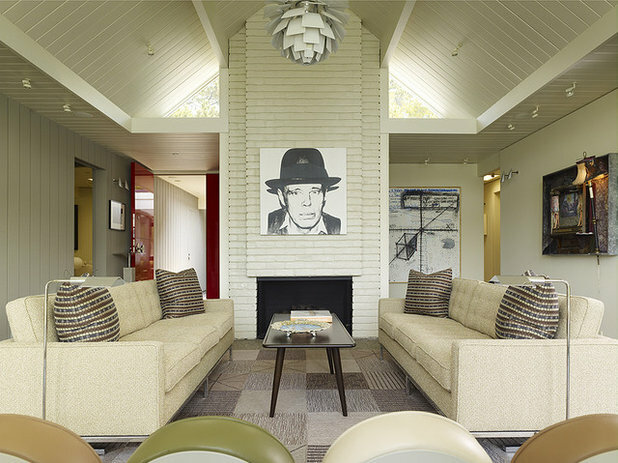 The owner filled the interiors with midcentury modern art, including an Andy Warhol portrait of Joseph Beuys over the fireplace in the living room. Large windows that look toward the lagoon highlight the small George Nelson Marshmallow sofa. 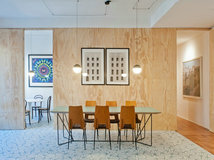 The Artichoke light fixtures were designed by Poul Henningsen and made by Louis Poulsen. 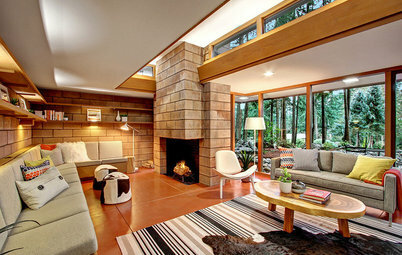 Two Florence Knoll sofas flank a vintage Hans Wegner coffee table. The galley-style kitchen layout is pretty much the same as the original. New high-end appliances modernize the space. 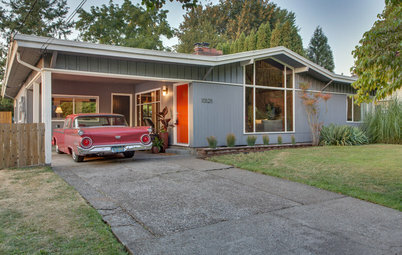 This house sits in a neighborhood that’s 90 percent Eichlers — one of the last developments built before the company went out of business. 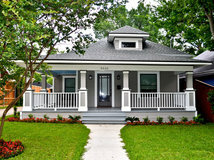 The homeowners kept much of the exterior the same but refreshed it with paint, cleared away some overgrown plants and fixed the leaky roof. 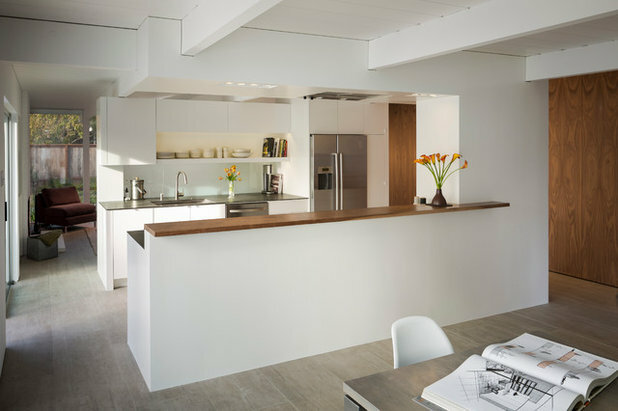 In the kitchen, the homeowners extended and added height to the original island, replaced appliances and filled in a small corridor with a pantry and refrigerator wall. The beams and ceilings are original, but the vent hood in the ceiling over the induction cooktop is new. 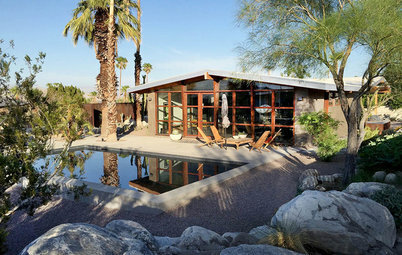 During construction, the homeowners lived in this 9-by-10-foot structure that now serves as the pool cabana. 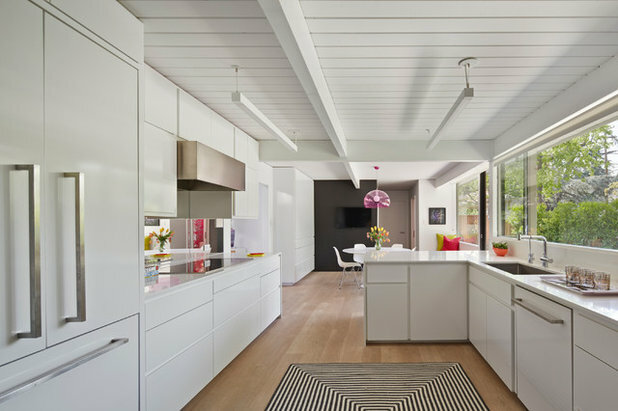 This Eichler rental in Oakland, California, features an original, unpainted wood ceiling. 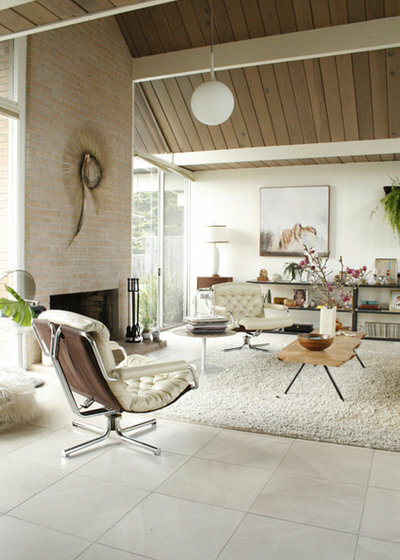 The occupants filled the space with vintage pieces appropriate for the era in which the home was built. 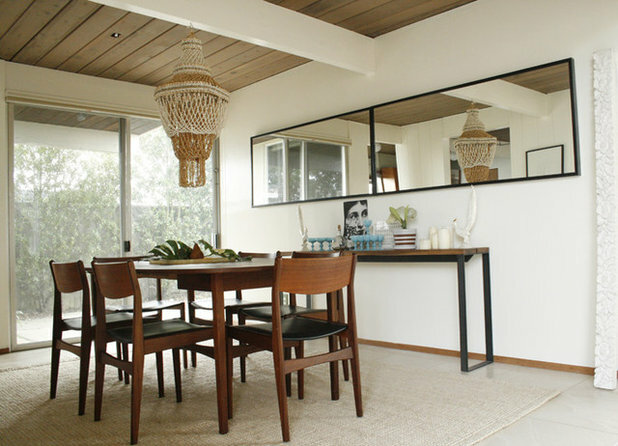 The dining room shown here features a Frem Røjle Danish modern dining set. 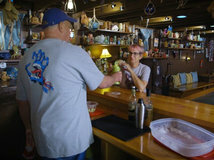 In the living room, original light fixtures hang from the original ceiling over original floors. 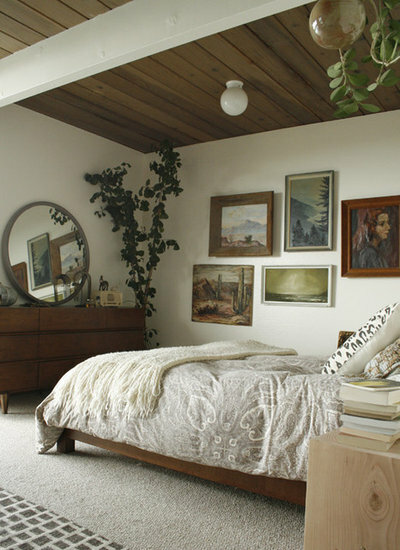 A dresser bought at a flea market and a round mirror found in an alley in San Francisco round out the vintage style in the master bedroom. I can't imagine much those houses would cost to build and how much each is valued in the market. Definitely worth a fortune each. 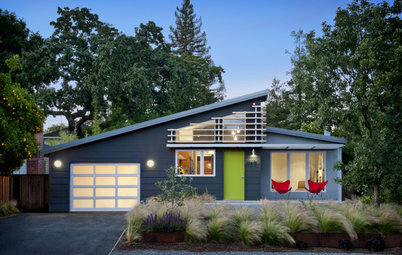 I've always loved Eichler homes, and when they were first being built, they were designed for low income people. 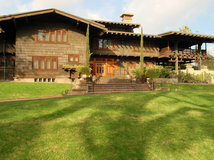 However, they are now out of reach for most people due to their high prices ($800,000 to over $1,000,000!). 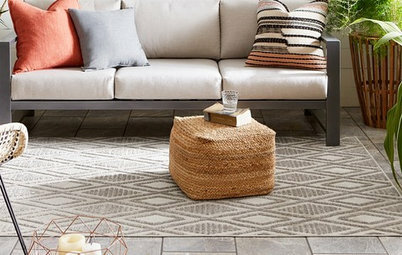 And, they are designed for warm climates due to the indoor outdoor decor, and all of the windows throughout them. And, I don't live in a state that is warm all year round-so no Eichlers here. 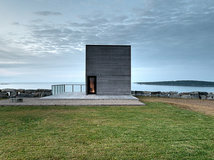 These are really beautiful homes, and if I could afford one, I would buy one.